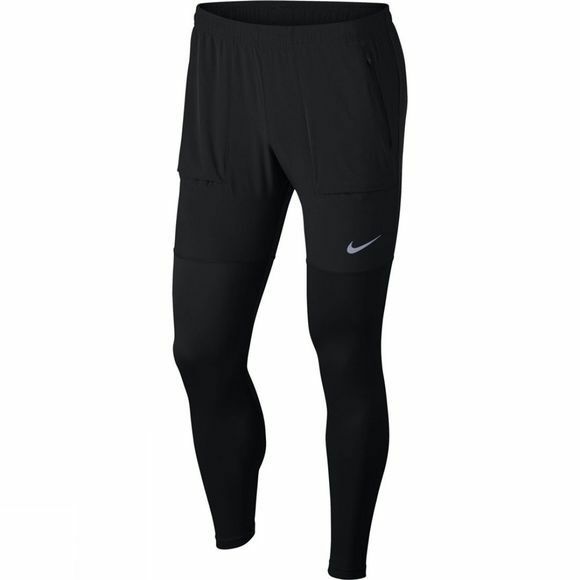 Delivering the comfort of warm-up pants with the body-hugging fit of tights in 1 essential silhouette, Men's Nike Essential Running Pants have a tapered design that delivers mobility and support where you need it. Dual-fabric construction delivers mobility and support. 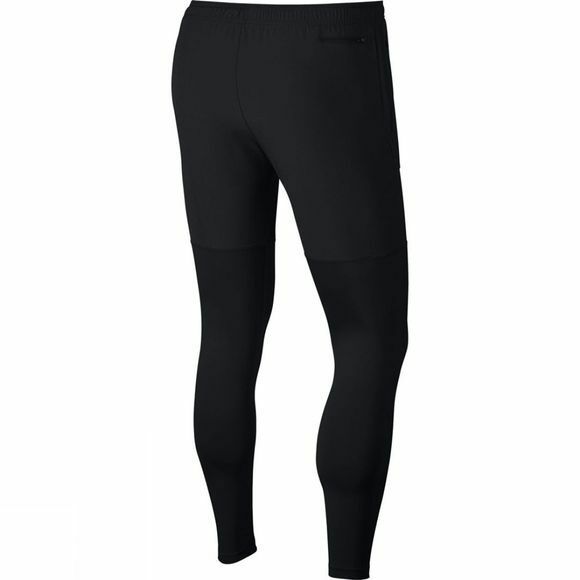 Tapered design hugs your body without distractions. Elastic waistband has an internal drawcord for a personalized fit. Zippered hand pockets provide secure storage for small items. Articulated knees provide comfortable mobility.